Canadian TV actor whose best-known roles include Bob Venton in Rabbit Fall, and The Shep in Degrassi: The Next Generation. He appeared early in his career in four episodes of the 1990s Canadian television series, Road to Avonlea. 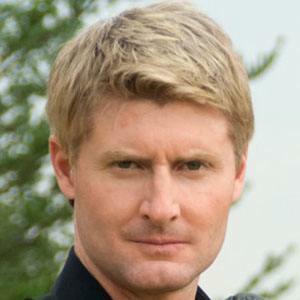 His numerous TV movie credits include roles in Net Worth (1995), Talk to Me (1996), and Finding Buck McHenry (2000). He was born in Kingston, Ontario. He had a recurring role on the medical drama, Doc, which starred actor/singer Billy Ray Cyrus.